As a matter of personal policy in my firm, I offer discounted legal fees to non-profit organizations. On some occasions, I also reserve the right to perform some of my services on a “pro bono” basis. My fees are fair and reasonable, considering the complexity of your case, and a fair estimate of the work involved, based on my decade and a half of experience in the field. 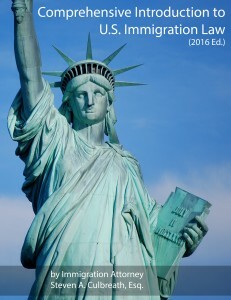 A member of both the Florida Bar and of AILA, I have been practicing U.S. immigration law almost exclusively for nearly 15 years, having successfully served many hundreds of clients worldwide. I truly enjoy sharing my knowledge and expertise on matters of U.S. immigration law, visa policy, business law and business practices, and issues surrounding business consulting. 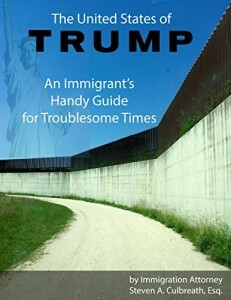 Aside from my direct work on behalf of clients, I enjoy writing about all matters of U.S. immigration law, in my Blog, and on various online social media outlets, including my books on Amazon. In addition, I frequently write and publish some of my works in German. Read more about my qualifications and experience.